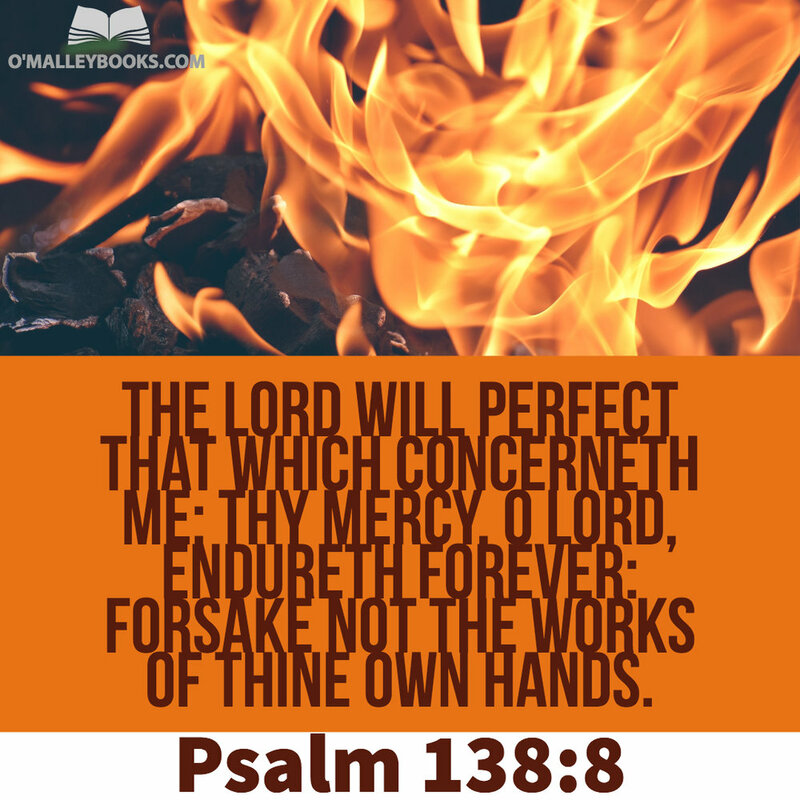 Psalms 138:8 The LORD will perfect that which concerneth me: thy mercy, O LORD, endureth forever: forsake not the works of thine own hands. If you know me personally, you know I love to cook meals, grill meat, and eat good food. When I grill, I know that the preparation of the meat (dry rub, never wet marinade), the arrangement of the coals, the placement of the meat on the grill and the turning of the meat is critical for pleasing the eaters at the table. These elements are also critical for the satisfaction of the chef in a job done well. I will season the meat hours before its grilling and serving. I will prepare the wood for grilling. I will light the wood at the right time. I will turn and move the meat on the grill based on its thickness, composition, and the eater’s preference. In grilling (Using a gas grill is not grilling; charcoal is grilling; I digress), the meat needs to be moved to the cool spot on the grill. Or, if I am using the second grill, I put it on the other grill for a different temperature range. When I believe it’s nearly done, I will pull the meat off the grill. I know the meat will finish cooking, even when it’s off the heat, to the eater’s desired preference as we wait to serve it. Whether finishing in the cool spot on another grill or resting on a plate before it’s ready to be used, the chef knows how the meat will be used. He knows what it needs to be doing now for a perfection later. He knows when it is right to move it, turn it, pull it, and place it in a resting place. He will place the meat into service when he is ready. The Psalmist wrote about a similar thing. God, the Master Chef, knows how we will be used. He knows where will be used. He is aware of the places we need to be in the process for Him to get the most glory out of us. Sometimes, He places us over the heat directly. Sometimes, He uses indirect heat. Other times, He places us on another grill for a different purpose. Yet sometimes before the actual serving, He puts on a resting plate. He does this to allow for the final cooking. He knows when to pull the foil off us for that prepared place of service He’s designed to have maximum efficiency and glory. If you are cooling, resting, or waiting to be placed into service, know this: He will finish the work He began. He will not forsake the work of His hands. He is merciful. Don’t worry; enjoy this place of rest. Don’t pine for a place of service before His time. He knows where you are. He knows what He needs you to be. He knows when you need to be there. He will perfect that which concerns you. He desires to get maximum glory. He won’t forsake you.